Konan’s Chart2020®, a global leader in visual acuity and ocular performance testing software, has been expanded with a Blind Spot Amsler test. It is now available on the Chart2020 DUO app at the Apple iTunes® store, and will be showcased at the Vision Expo East conference in New York and SECO in Atlanta. Simple to use, intuitive, with industry leading reporting. The Amsler test for iPad® is a newly released add-in feature of Konan’s Chart2020 DUO, available for a limited time at an introductory price from the iTunes Store®. The Amsler test features Dr. Terrace Waggoner’s Blind Spot Amsler™ strategy, which provides a basis for easily controlling test distances, important for repeated tests over time. The Blind Spot Amsler test is featured by the Macular Degeneration Foundation’s web site. Macular Degeneration is the leading cause of vision loss in Americans over age 60. 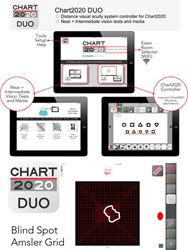 Chart2020 is an advanced eye testing software solution featuring guided and self-scoring Konan Wizards™, a unique user experience with one button control using Smart Docks™, and the Chart2020 Duo application for the iPad® retina display. Additionally Konan’s Chart2020 application is compliant with ISO 8596-2009 standards and includes global Sloan specification optotypes for major world non-Western languages including Japanese, Korean, Russian, and Arabic, as well as the Konan Kids™ optotype for children and illiterate persons. Konan’s Chart2020 is a platform of visual acuity and ocular performance testing solutions featuring guided, self-scoring Konan Wizards. An extensive library of industry standard, innovative polarized vision tests, ColorDx® military-grade color vision testing, and video and image media. Tests are uniquely controlled using a simple and intuitive user experience from the iPad Chart2020 Duo application, a minimalist Apple TV remote, or standard mouse, keyboard, and multi-button remotes. Chart2020 is FDA listed and CE marked. Chart2020 is used world-wide in academic, research, and clinical eye care practices. Chart2020 is also available with the ColorDx color vision tests developed by Terrace Waggoner, OD that were recently featured in the Wall Street Journal article New Outlook on Color Blindness. Headquartered in Irvine, California, Konan Medical USA Inc. develops, manufactures, sells, distributes and services specialty diagnostic products for eye care clinicians and eye banks, and supplies clinical diagnostic products for many of the leading ophthalmic product companies in support of sponsored FDA clinical trials research in the United States and other parts of the world. Konan Medical USA, Inc. is an ISO certified company. For more information on Chart2020 and Konan, visit http://www.KonanMedical.com.